I am Harish Krishnan, a post graduate degree holder in Electrical Engineering and a startup founder by profession based in San Francisco Bay Area, USA. I had the great fortune of completing the Nirahara Samyama (levels 1, 2 and 3) and The Samyama as part of the Dec 2012 IA cruise. 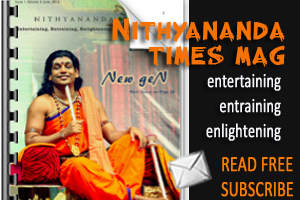 I completed the Nirahara Samyama as part of the 6th batch during November 2012 and was initiated at the Nithyananda Vedic Temple, San Jose (USA). Personally it was my 4th samyama after having failed the earlier 3 attempts. In my first attempt after completing the level 1, I had such a strong urge to eat that I really felt I had starved myself which meant that the Samyama had not worked on me. 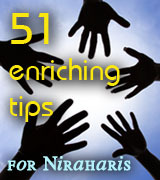 I realized so since Swamiji had mentioned that one of the most important requirements of the Nirahra Samyama is that you would need to break the Nirahara samyama, if you feel hunger during the process, and this was all about going beyond fasting. The next 2 times I tried, I gained a lot more confidence since I managed to go with the process for 5 and 6 days into level 2 of Nirahara samyama respectively. Unfortunately, I began to have stomach pain during both the attempts which made continuing the Nirahara samyama impossible. But I did not give up on myself. 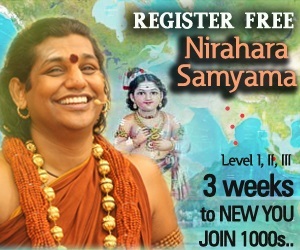 I only prayed more to Swamiji to make this happen and with HIS grace, I completed the Nirahara samyama levels 1,2 and 3 on my fourth attempt. It was a great feeling, that I had pulled myself up after failures and crossed the finishing line J . 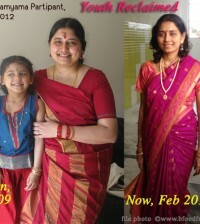 During the Nirahara samyama I used to have a strict regimen of milk and juices.. I specifically consumed juices from alkaline sources, meaning I avoided things like orange juice, apple juice, coffee (during the intervening break periods between levels).. I specifically had cantaloupe and melon juices along with milk, butter milk. The Samyama, during Dec 2012 IA cruise in the presence of Swamiji was great and much easier, thanks to the spread of tasty juices and milk shakes throughout the process. 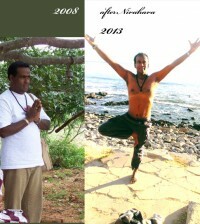 So I was indeed very happy and a sense of accomplishment engulfed me when I completed the The Samyama. Personally, the very idea that I could survive without eating solid food and being able to complete the ‘The Samyama’ was a huge achievement. I began to understand even something as vital and ingrained as eating food when you are hungry is just another pattern and something that can be broken. My faith in the mystical powers of various yogis who reportedly have not eaten for many years became stronger. The fact that our body can perform perfectly fine just on liquid diets and that even I, who was a BIG TIME food junkie could complete this was a major eye opener for me. During Nirahara Samyama and The Samyama, I used to continue with my daily routine as usual, and never felt tired.. I used to have food cravings once in a while, but nothing intense enough to push me into breaking the process.. I lost a lot of weight, began to look a lot younger and gained a ton of confidence that even I am worthy of completing such intense tapas . 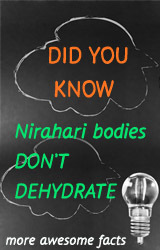 I am looking forward to spending more time being a Nirahari, than an Aaahari!